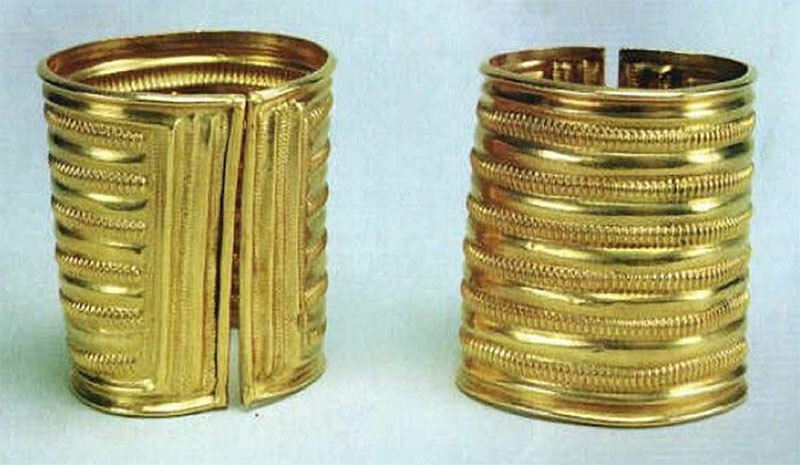 Two gold armlets, part of the Derrinboy hoard dated c. 1200 BC. Found near Kilcormac, 10 km south of Lough Boora. At a first glance the site itself is not the most spectacular archaeological feature as nothing remains of these encampments. 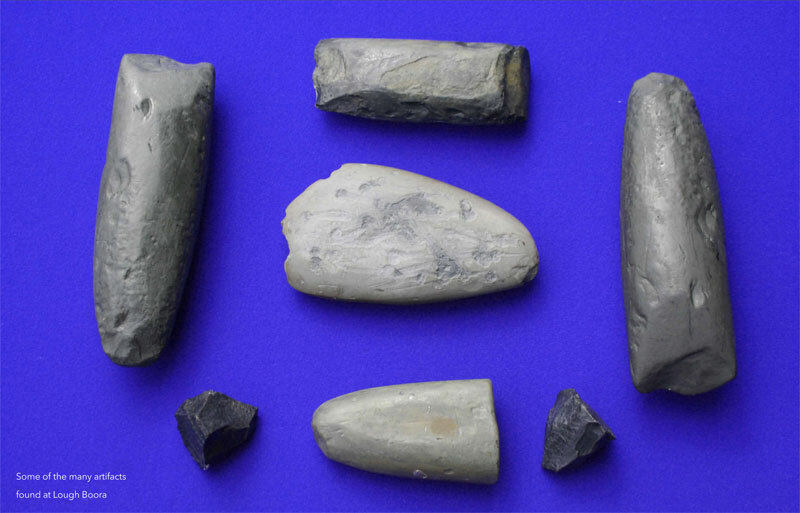 However, it is one of the most important archaeological finds in Ireland. Prior to its discovery it was thought that the first human settlements were near to the coast and that the midlands remained uncolonised. The discovery of the Lough Boora Mesolithic site has proven this to be inaccurate and pushed the accepted date for the colonisation of the midlands back by over 3,000 years!